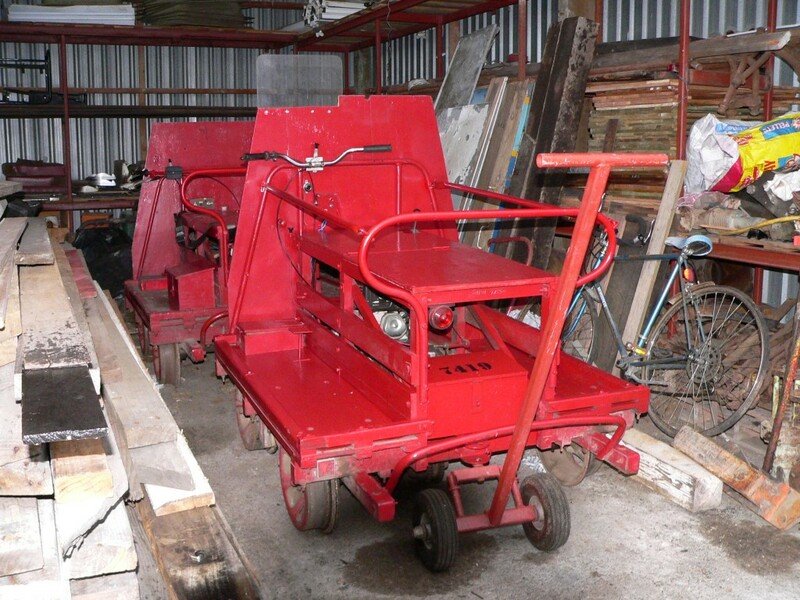 We own three Jiggers and two have been overhauled for open day use and one will be used as a trailer. a four man trolley fitted with a 13hp motor with 3 speed + reverse gearbox, electric start and 4 wheel drive. An alternator has also been fitted for lights and battery charging. 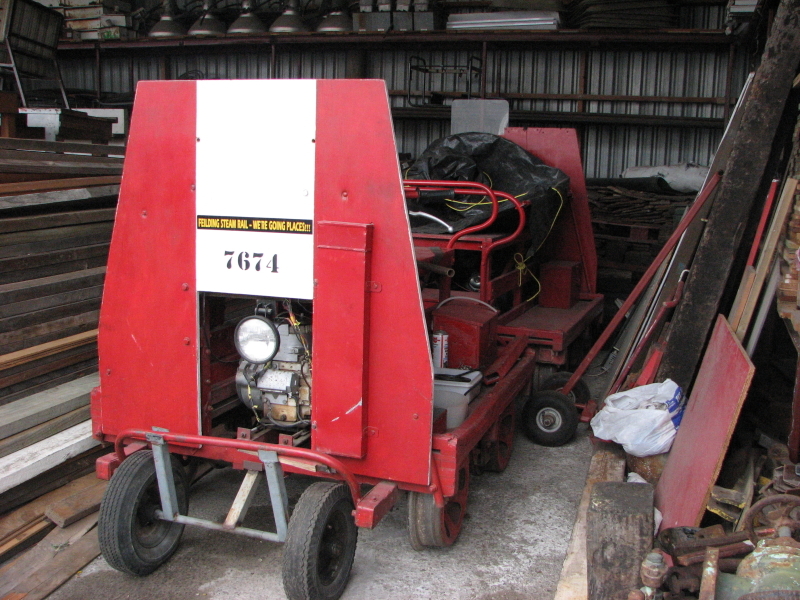 This trolley was used as a trailer for WW 7674 until it was motorized last year. It also has a trolley bell. 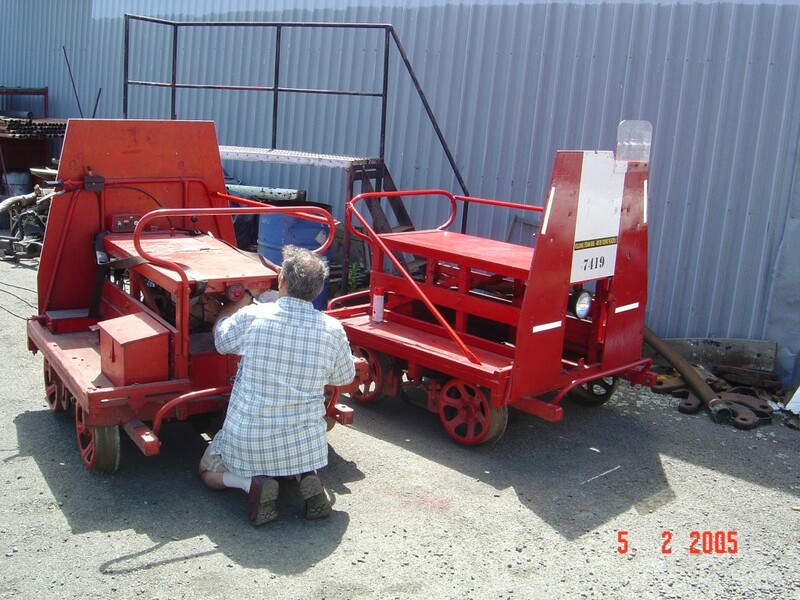 a four man trolley, our original motorized one - the only one we had with a motor - a 10 hp Tecumseh with 3 speed and Rev gearbox and electric starter. 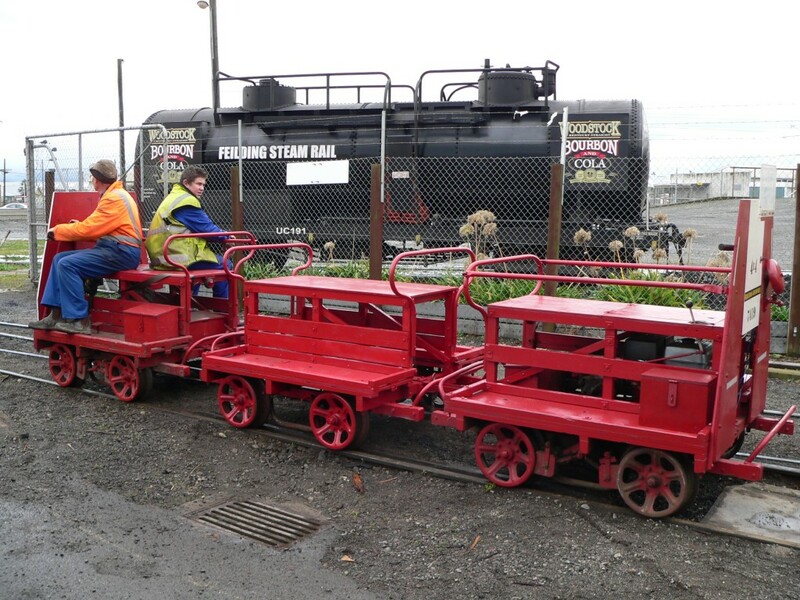 It has been known, with its trailer, to carry 12+ adults. 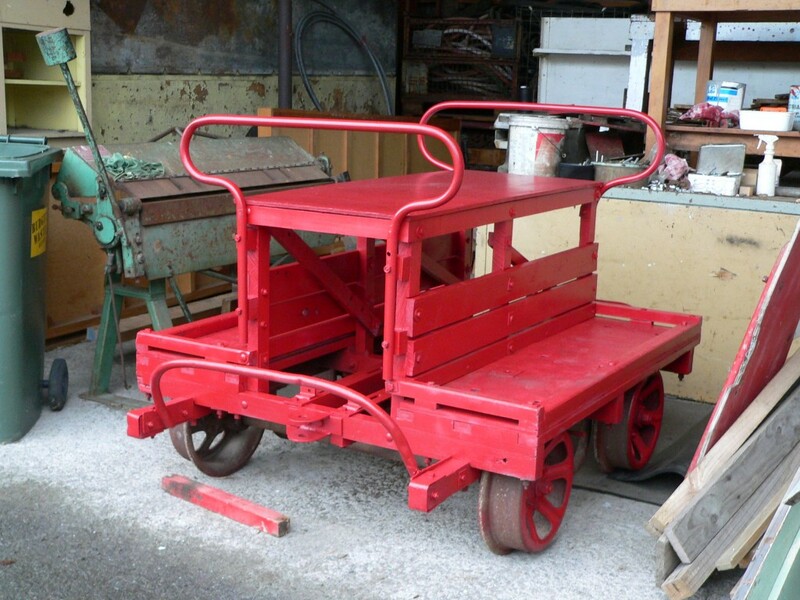 another four man trolley originally in poor condition but has had a lot of woodwork replaced, tidied up and painted for use as a trailer between the other two. It is currently undergoing trials. an aluminum framed two man trolley made up from a pile of parts. It still needs brake parts making and lights fitting to be made useable. It has a 5hp Honda motor with a four speed gearbox. 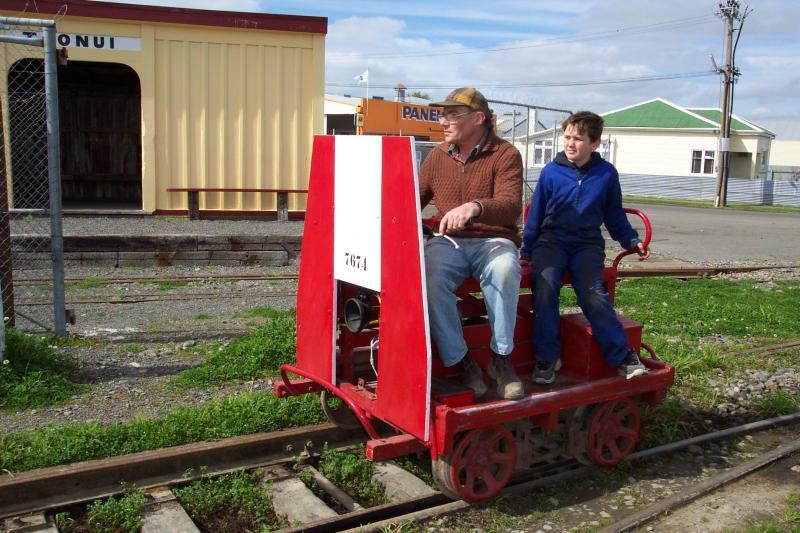 Here you can see the simple but effective controls of WW7674, and the seatbelts for added security when giving kids a ride in the yard. Here are the 3 joined together. 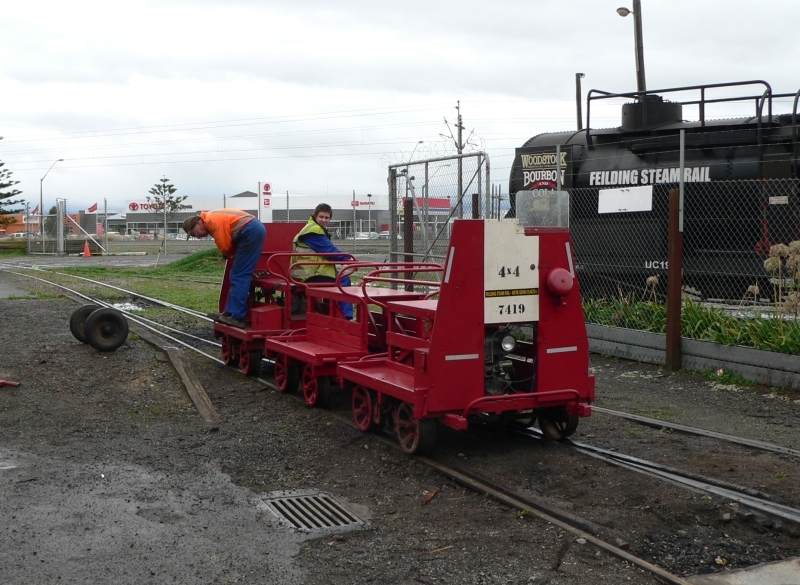 Testing the jiggers after some repairs, then all aboard for a ride around the yard. 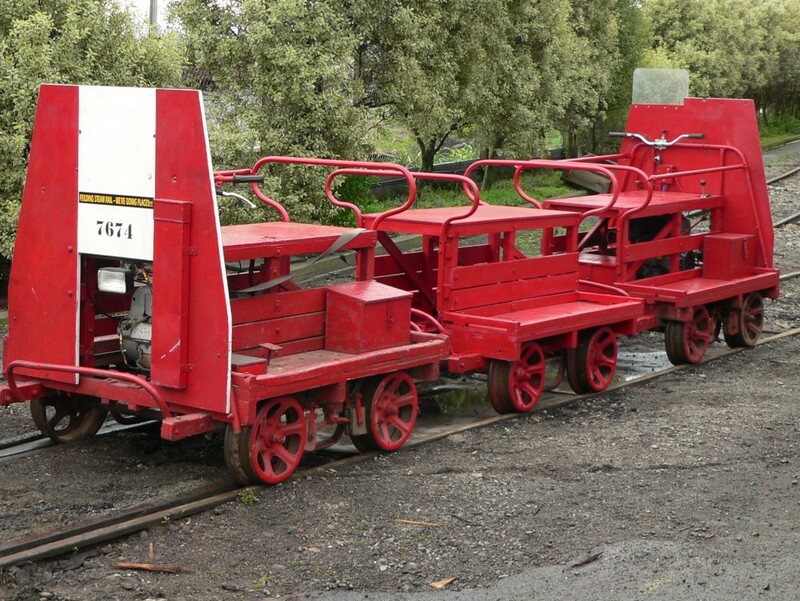 We also have 2 yellow - 4 wheel flat trolley trailers, one is currently dismanteld for repairs. 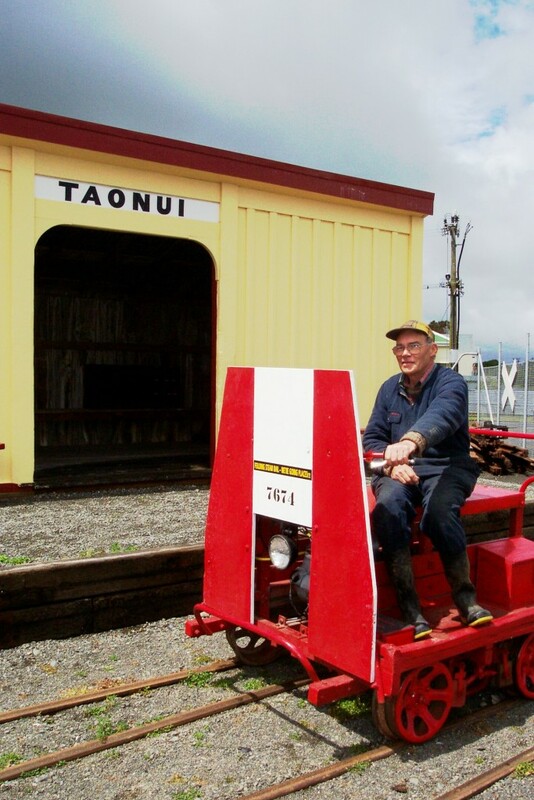 We at Feilding Steam Rail are alway looking for parts or other types of Trolleys (jiggers) to maintain and extend our collection of vehicles. Any goods or information may be handed in at our Depot in Feilding - Thank You. 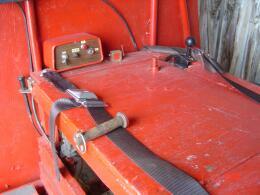 This motor trolley was in a very sorry state. 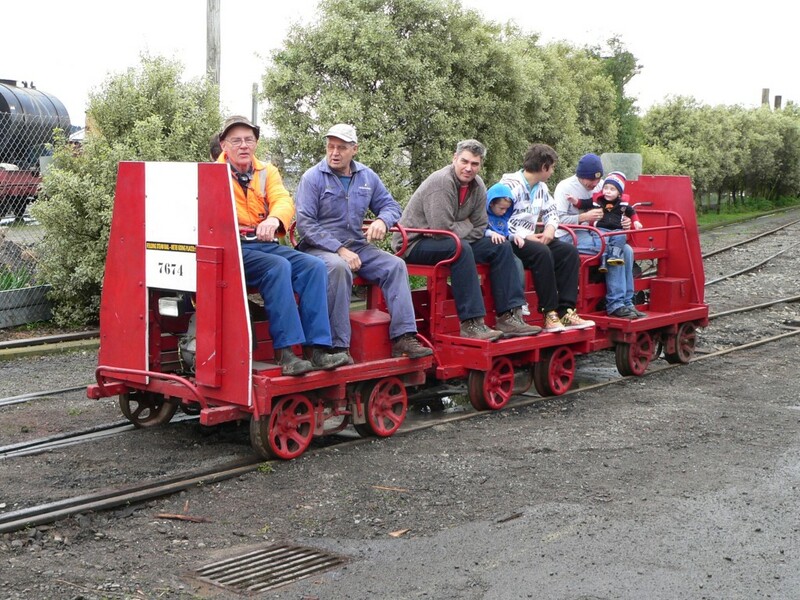 Bernie has rebuilt 7674 a 4 man motor trolley back to operating order. 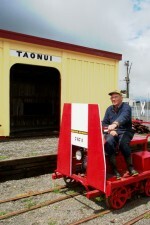 Bernie on 7674 in front of the Taonui Station. Bernie is making some adjustments to 7674. Beside it is 7149. 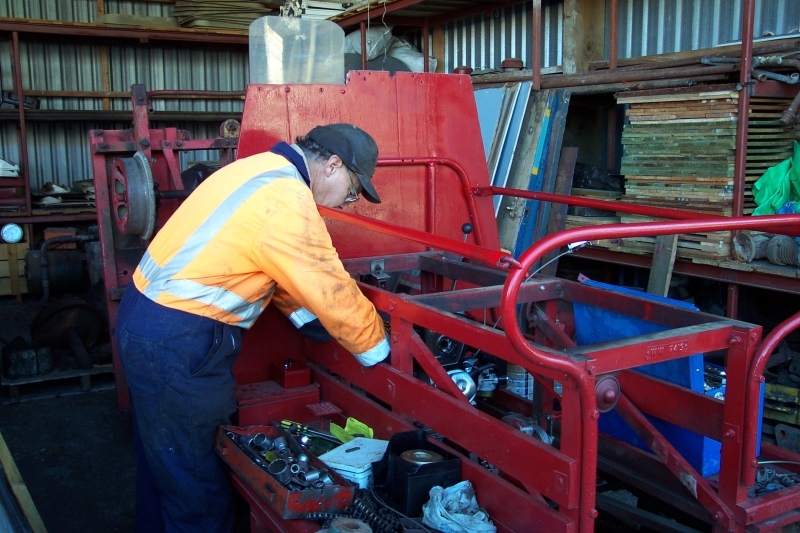 Bernie working on one of the jiggers.